The ideal starting point for a new patient eye exam is at a lensmeter. It effortlessly measures the patient’s current lens prescription so the eye care professional has a solid baseline for the exam. With our Huvitz Auto Lensmeter HLM-9000, the doctor can accurately measure even the most complicated lenses, as well as demonstrate how much blue light is passing through the lens. A digital lensmeter also confirms the correct prescription in a completed pair of eyeglasses. When a patient comes in with no existing eyeglasses, the auto refractor is a lifesaver. This ophthalmic equipment quickly measures how the eye reacts to light to produce a best-guess prescription that serves as a starting point for the eye exam. Now, with the groundbreaking Huvitz HRK-9000A Auto Refractor, even contact lens prescriptions can be done digitally. For the ultimate patient experience, a digital refractor is a must-have piece of ophthalmic equipment. It precisely measures the eye so that the most accurate prescription is given with every eye exam. With added features like Wi-Fi connectivity and a comprehensive 21-point exam, the Huvitz Digital Refractor HDR-9000 allows the eye care professional to give the perfect prescription every time. It even includes an impressive array of eye exam charts. 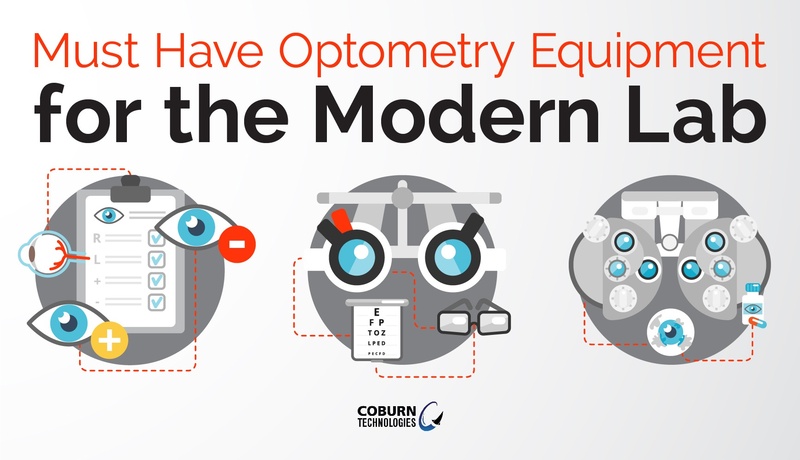 Being an optometrist or ophthalmologist isn’t just about helping people see better; it’s also about diagnosing and treating eye problems, which is why a digital slit lamp is a crucial piece of ophthalmic equipment. The advanced microscope and high-beam light source in a digital slit lamp allow the doctor to view the front of the eye layer by layer to ensure everything is healthy. With our high-end slit lamps in the Huvitz HS Series, eye care professional can now view the eye with a wider angle and improved accuracy. It also captures images and video during the eye exam. The final piece of ophthalmic equipment is a fundus camera, otherwise known as a retinal camera. It takes extremely detailed images of the retina to aid in diagnosis of serious conditions, such as glaucoma. Our Nonmyd WX3D fundus camera is a cutting edge piece of ophthalmic equipment that takes both 2D and 3D images with ease. The pictures are then able to be stored digitally so the doctor can track them over time to see how the eyes are progressing. In today’s world of ever-changing technology, it’s important for the eye care professional to stay ahead of the curve. When they have the most advanced equipment available, they are able to provide the highest level of patient care with the precision necessary to facilitate a flawless eye exam.